Beautiful outdoor living spaces look good year round by taking advantage of each season's best features. If you only consider how your landscaping will look during summer's peak, you'll be disappointed with its appearance the rest of the year. Enjoy your beautiful outdoor living spaces year round with these ideas. Outdoor seating. Enjoy your morning coffee outdoors in the spring at a small seating area with a bistro table. You'll be able to listen to the birds' singing, which you've missed during the winter months. Water features. Lure your family outdoors in the spring with the calming sound of a waterfall or pondless water feature. Water features remain dormant during the winter but add significant dimension, sound, and texture to your landscaping in the spring. Koi pond. Koi ponds are colorful and interesting additions to your beautiful outdoor living spaces. They can be large or small and fit into unusual or awkward spaces in your landscaping. Outdoor audio/visual. Summer is the time of year when you can enjoy your beautiful outdoor living spaces the most. To really take advantage of this season, include audio/visual equipment in your design. Invite your friends over to watch a game while you have a cookout, or listen to music while you work outside or relax. Outdoor fireplace. Take full advantage of summer nights with an outdoor fireplace. Your kids will enjoy roasting marshmallows with their friends, and after they're in bed, enjoy a romantic evening with your spouse. Swimming pool. 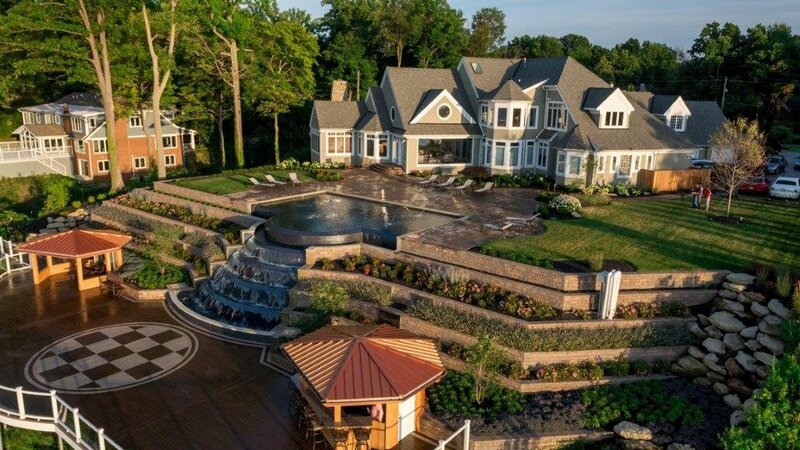 Swimming pools are ideal for summer entertaining, but they're also an important addition to your landscaping. A flawless expanse of blue water makes a stunning contrast to your hardscape, trees, and landscaping. Consider the incredible benefits of installing an in-ground swimming pool. Firepit. Remember those endless summer nights at camp when you were a kid? Live them again by including a firepit in your landscaping. Add a grill and cook out over your firepit, or just sit around and talk with friends and neighbors. Outdoor kitchen or bar. Serve up amazing summer meals from your outdoor kitchen. Entertaining is truly easy when you have everything you need at hand. Color. Fall color is a real treat, especially if you've planned for variety in your landscaping design. Include trees and perennials that bring out brilliant colors. Firepit. Continue to use your outdoor firepit in the fall to roast s'mores and keep warm as the evenings cool down. Pizza oven. If you're a pizza fan (and who isn't? 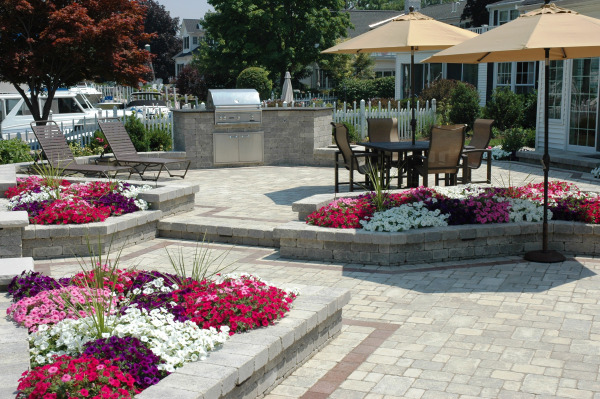 ), include a custom pizza oven in your landscaping plans. Inviting friends and neighbors over for handmade pizza will make you more friends than you can handle. Outdoor kitchen or bar. Continue using your outdoor kitchen, but use it for a clambake this fall. Hot tub. As the snow gently falls all around, stay toasty warm in your hot tub. Winter-optimal hot tubs work well in gazebos or under tall decks. 4-seasons room. Read a book by the fire in your 4-seasons room. View winter's beauty from the cozy indoors. Outdoor fireplace. Neighbor kids will love to play in the snow at your house when they can warm up next to the fire in the outdoor fireplace when they get cold. Keep hot cocoa warm at the fireplace to stay warm, inside and out.